"Boubacar Traore carries within him all the beauty of African blues. A diamond among the jewels of Mandingo music, he shines with the dark glow of exceptional purity. Only the voice of 'Kar Kar' (a footballing nickname meaning 'The Dribbler' given him by his friends, who also love the beautiful game) can blend Niger and Mississippi river alluvia with such moving authenticity. His unique, inimitable, self-taught guitar technique owes a great deal to his kora influences, but its shades and phrasing also suggest the great black bluesmen of the deep South: Blind Willie McTell, Robert Johnson, Muddy Waters and others. Back in the '60s when the euphoria of African independence reigned, the 20-year-old Boubacar Traore was Mali's Chuck Berry and Elvis Presley. He was the first to play Mandingo-based music on electric guitar, long before his junior, Ali Farka Touré. It is in the United States, in Lafayette Louisiana, that Boubacar Traore wished to record his third album for the label Lusafrica. The guitarist's intention was to change the coloration of his songs (old numbers like 'Dounia Tabolo' or 'Kanou', and new ones, 'Ben de Kadi', 'Mousso') while conserving their original character. So it is with musicians from the Southern States of the USA he had met on tour, Cedric Watson on violin and washboard, and Corey Harris on guitar, that he undertook the recording of his album Dounia Tabolo at the end of 2016. And when he told them he wanted to add a cello and female voice to the album, Cedric Watson suggested Leyla McCalla. This recording is a new milestone in the work of this extraordinary but modest artist. From blues to folk and Cajun to Zydeco music, his new traveling companions have provided a touch of folly and swing (Cedric Watson), blues depth (Corey Harris) and discreet elegance (Leyla McCalla). More than ever, Boubacar Traore has shown himself to be the living, vital connection between Mali and the Mississippi. 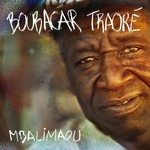 "Malian superstar Boubacar Traore is the undisputed king of the African blues. Only his voice can blend the Niger and Mississippi river styles with such moving authenticity. His unique, inimitable, self-taught guitar technique owes a great deal to his kora influences, but its shades and phrasing also show influences of legendary American bluesmen such as Blind Willie McTell, Robert Johnson and Muddy Waters. Mali Denhou, Traore's first new release in six years, finds the great singer on top form, earthy and biting. The album features stellar harp playing by Frenchman Vincent Bucher." 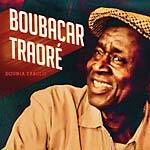 "Boubacar Traore is a passionate musician who distills emotions and dreams with simplicity and precision. His powerful voice sings his country's history. The hope and despair of the Malian people, their love and expectations, all told through striking melodies inspired from the Kassonke Malian tradition." "Boubacar Traore's fame took root in the 1950s and ever since the singer has been traveling the world and spreading his particular brand of blues. His inimitable style -- warmhearted as well as wistful -- can be clearly heard on these essential reissues."